Lubrita Biodegradable Oils have a proven track record having been in the market for the long time. Eco products can replaced many petroleum products with biodegradable lubricating products that help protect the environment and lead to sustainability. Lubrita markets bio-based lubricating products to different industries and anyone need environmentally friendly products. Our bio-lubricants provides very high quality hydraulic oils and other bio-based products. Lubrita hydraulic fluid based on biodegradable synthetic esters, and these oil is especially developed for situations where pollution of the environment is expected. Environment compatibile. DIN 51524, HVLP, FZG > 12, Biological degradability CEC-L33-T82>90% (3 weeks), Ecolabel. These biodegradable hydraulic oils suitable for heavy duty hydraulic systems of earthmoving, equipment and permanent installations, that have to work under high pressures over a wide temperature range. 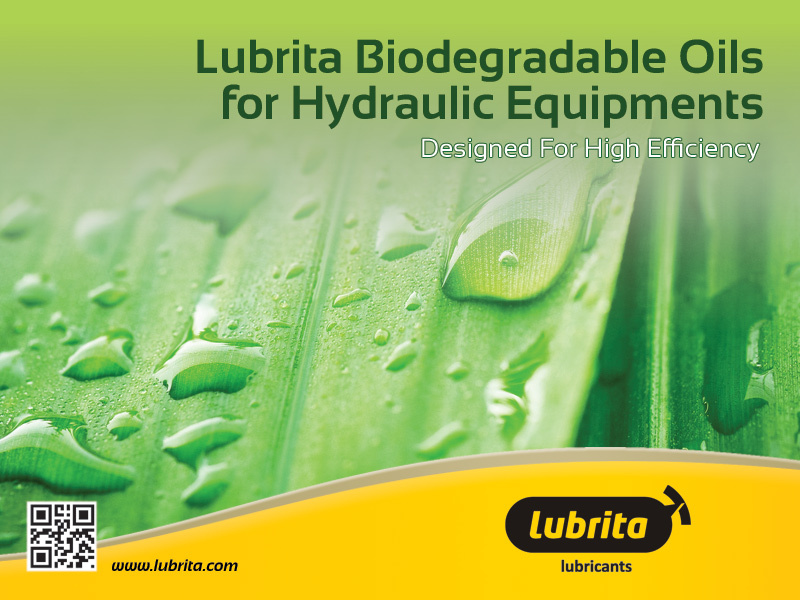 Lubrita Hydraulic oils product line was expanded to meet customers demand by adding Lubrita Hydroflow Bio SB HVLP series products to our list of LOB we can offer for our valued customers.